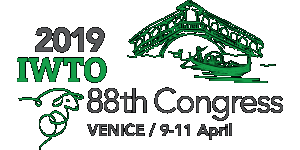 Combining Italy’s rich wool heritage with the latest research and developments in wool applications, IWTO welcome you to it’s 88th Congress in Venice, Italy. The programme will focus on the theme ‘Wool in Excellence’ and will highlight topics in sustainability, traceability, wool décor, health and wellness along with visits to the headquarters of international textile brands. IWTO encourage applications to it’s Young Professionals Programme 2019, which offers mentoring, special networking events, and a reduced delegate rate to the next generation of the wool textile industry. IWTO has been pleased to be able to welcome nearly 100 Young Professionals since the programme’s inception in 2012.